“America’s Best Humorist,” Mark Twain. Lithograph by Joseph F. Keppler, 1885. Library of Congress. From James Whitcomb Riley to Kurt Vonnegut, Indiana is well-known for its literary heritage. This heritage developed, in-part, through personal appearances, where authors read from their works and shared new material with audiences. 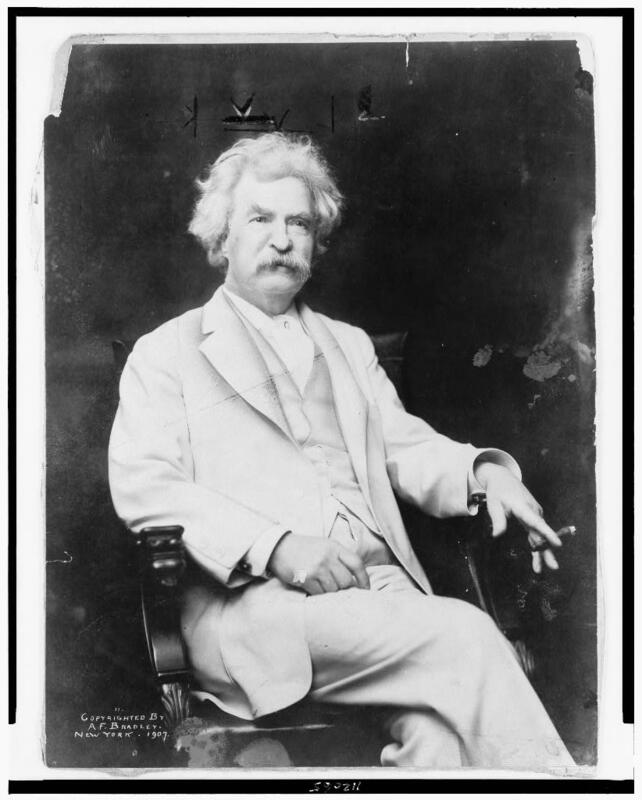 Of the lecturers, one of the most successful during the Gilded Age was Mark Twain. Born in Missouri as Samuel L. Clemens, Mark Twain became one of the late-19th century’s most popular and acclaimed authors. 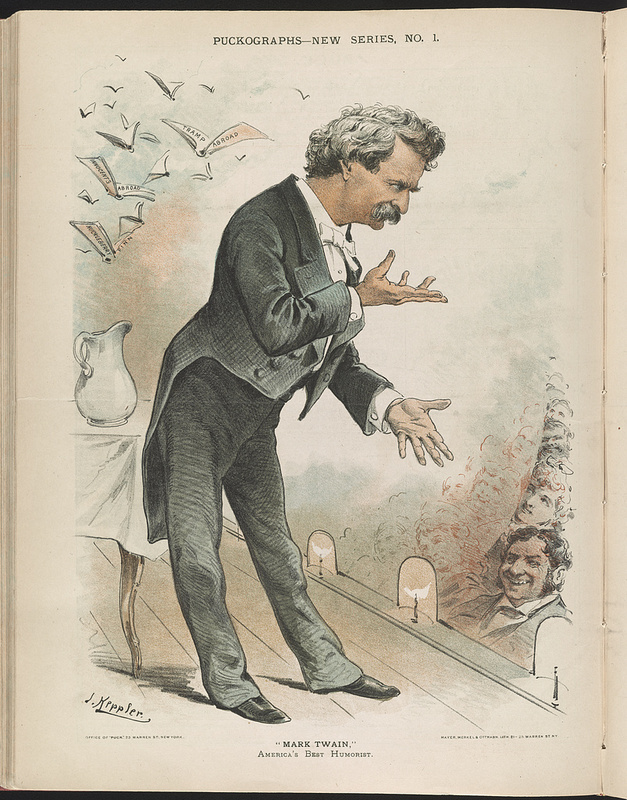 Alongside his successful career as a novelist and cultural critic, Twain crisscrossed the country, regaling packed theaters with stories, readings from new written material, and plain-old good jokes. 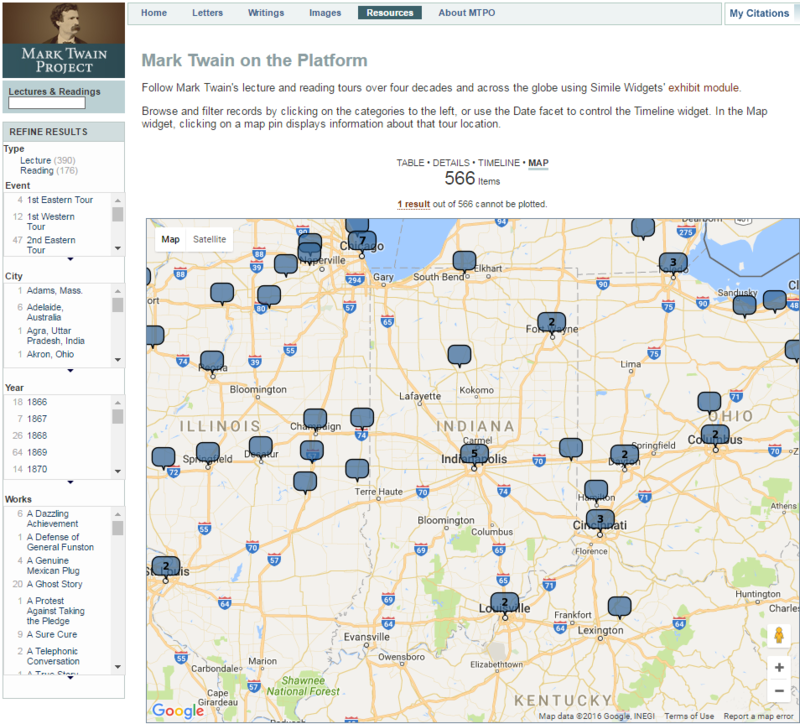 Map highlighting Mark Twain’s lectures in the Midwest. Mark Twain Project. We caution our readers not to forget the treat prepared for them this evening by the Library Association. Mark Twain, one of the real humorists of the day, will deliver his lecture entitled “The American Vandal Abroad,” and his merits entitle him to a large audience. The lecture will be delivered at Metropolitan Hall, and reserved seats may be secured without extra charge at Bonham’s Music Store. While the exact content of his performance from that night was not reported, he had repeatedly given the lecture through 1868-69, and a compiled version was published by literature scholar Paul Fatout, in his book, Mark Twain Speaking. In this lecture, Twain referred to the “American Vandal” as someone who “goes everywhere and is always at home everywhere . . . His is proud and looks proud. His countenance is beaming. He does not fail to let the public know that he is an American.” Twain’s lecture, like his broader work, represents an American voice that spoke to the Midwest, especially places like Indiana. Indianapolis News, January 1, 1872. From Hoosier State Chronicles. 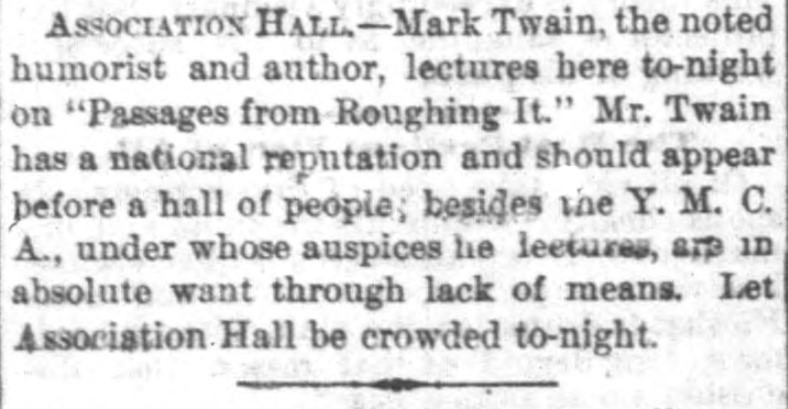 Mark Twain, the noted humorist and author, lectures here to-night [sic] on “Passages from Roughing It.” Mr. Twain has a national reputation and should appear before a hall of people; besides the Y. M. C. A., under whose auspices he lectures, are in absolute want through lack of means. Let Association Hall be crowded to-night [sic]. This lecture was a marked departure from “Vandal,” both in style and in subject. 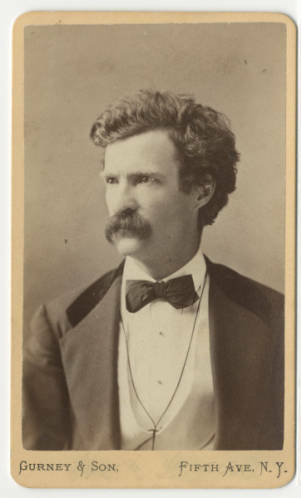 Twain shared with audiences his experiences out west, from camping in the outskirts of Carson City, Nevada to riding colt horses and getting in duels. Terre Haute Evening Mail, January 6, 1872. From Hoosier State Chronicles. The above receipt originated with a man in Iowa, who gets up suppers on odd occasions for Odd Fellows. He has a receipt for oyster soup of the same kind, only using twice as much water to the oyster and leaving out the salt. George W. Cable. Library of Congress. Indianapolis Daily Sentinel, January 7, 1885. From Hoosier State Chronicles. Nevertheless, their joint appearance at Plymouth Church in Indianapolis, Indiana on January 7, 1885 was greatly lauded. The Indianapolis Sentinel reported that their performances was “the best of the season” and the Indianapolis News wrote that it was “one of the finest audiences that could be gathered.” The Greencastle Times even reported that efforts were underway to bring the two over to Greencastle to perform (alas, it was not to be). 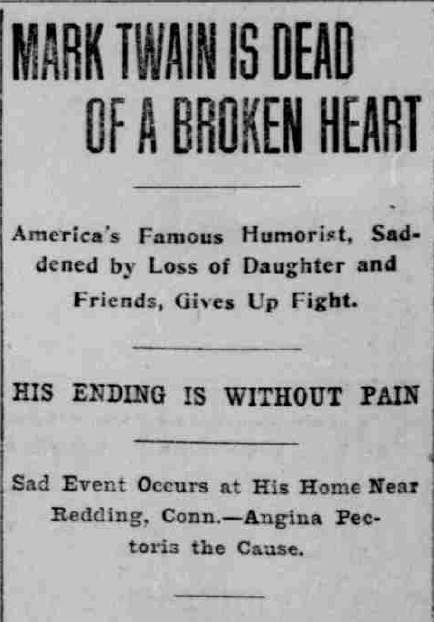 Indianapolis Daily Sentinel, January 8, 1885. From Hoosier State Chronicles. The rest of story involves a hilarious scenario where the mining-savvy cat gets stuck in a quartz shaft, which explodes, and he flies out of there all covered in soot and his whiskers burned off. 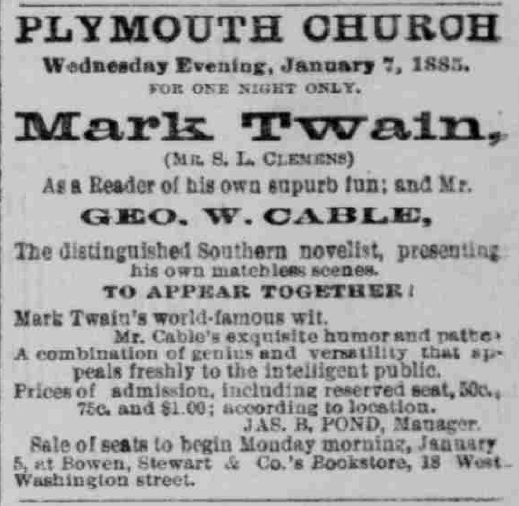 It was exactly the kind of zany, improbable yarn that Twain was so gifted at and the audience at Plymouth Church agreed. Twain’s and Cable’s appearance would be the last time they would appear together in Indiana and Twain’s last lecture in the state. Over the next 20 years, Twain continued to travel the county and the world, going so far as India and New Zealand, to share his lectures and stories. 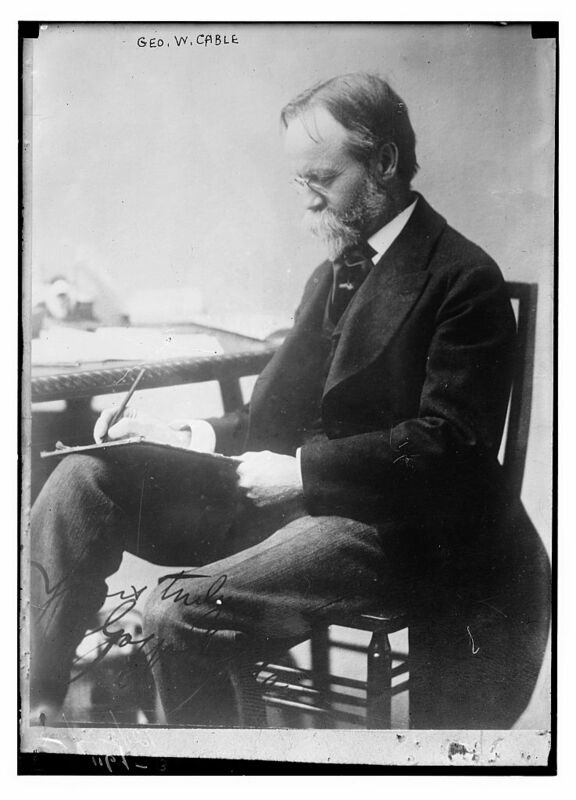 His last known lecture, according to the Mark Twain Project, was a reading for Mary Allen Hulbert Peck on the Island of Bermuda on March 27, 1908. Mark Twain died on April 24, 1910 at the age of 74 from heart failure, at his home near Redding, Connecticut. An obituary in the Plymouth Tribune complimented Twain’s success as a novelist, humorist, and lecturer. It also cited the loss of much of his family, particularly his daughter, and friends as one of the main reasons for his passing. Plymouth Tribune, April 28 1910. From Hoosier State Chronicles. 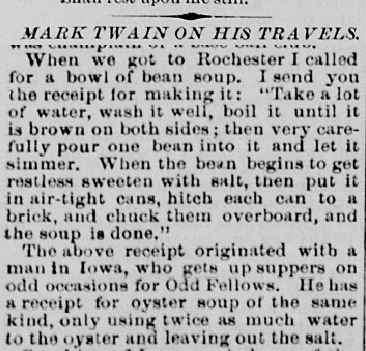 In his lectures in Indiana and elsewhere, Twain exhibited the type of natural humor “born in every American” that characterizes the American cultural identity. Mark Twain, 1907. Library of Congress.